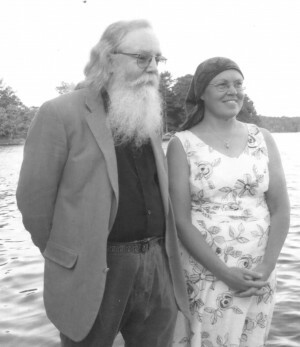 Gary Lawless and Beth Leonard have owned Gulf of Maine Bookstore in Brunswick, Maine, for thirty-five years. They also edit and publish Blackberry Books. Gary is a widely published poet, with sixteen collections of poetry in the US and five in Italy, all with the common theme of ecological integrity and spirit. He has taught literature at Bates College as well as given readings and workshops in Italy, Slovenia, Latvia, Lithuania, Germany and Cuba. He has been artist in residence for the Island Institute in Sitka, Alaska; Isle Royale National Park in Michigan, and with the Cabot Trust in northern Newfoundland/southern Labrador. He teaches poetry to underserved populations including recent immigrants and Afghanistan/Iraq war veterans. Since 1986 Gary and Beth have lived as caretakers at Chimney Farm, the Maine home of authors Henry Beston and Elizabeth Coatsworth. Their bookstore poetry blog can be found at http://gulfbookpoem.blogspot.com.